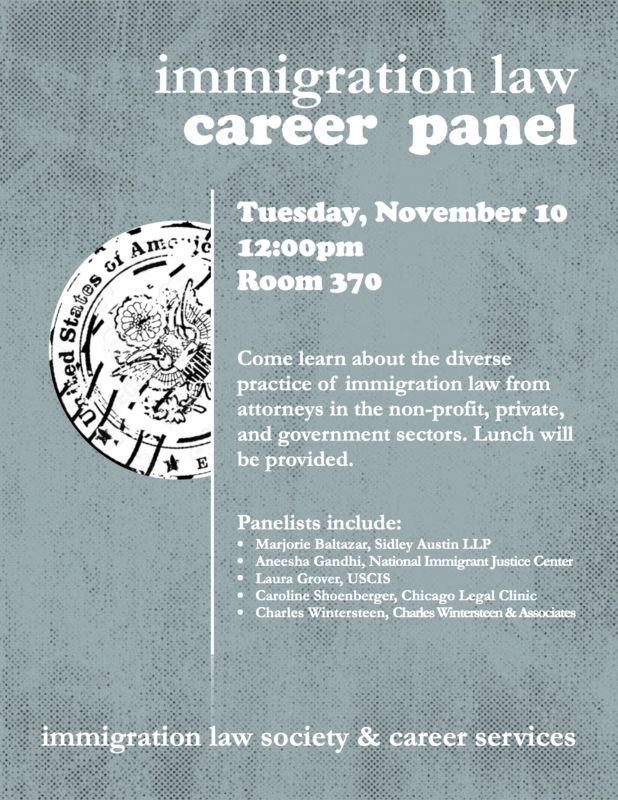 Immigration Law Society and the Career Services Office invite you to attend the Immigration Law Career Panel on Tuesday, November 10 at 12:00pm in room 370 (Chicago-Kent, 565 W. Adams St.). Come learn about the diverse practice of immigration law from attorneys in the non-profit, private, and government sectors. Lunch will be provided. Pls place me on the list of attendees will you provide the address for the event..? So glad you can come! Chicago-Kent College of Law, 565 W. Adams St. Room 370.